Home > First Year in Business > Should You Change the Name of Your Restaurant? Changing the name of your restaurant is not a decision to be taken lightly, but it can certainly give your business a boost if you do it for the right reasons. What Reputation Does the Name Have? For many people that buy an existing restaurant business, they have already decided that they will either keep the name or change it – rather than looking at the pros and cons for their individual circumstances. 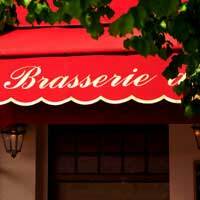 Perhaps the most important information to uncover is what reputation the restaurant, and therefore its name, has already. The best way to do this is to ask local people – people love being asked for their opinions and holding a clipboard seems to make all the difference! You’ll get people being honest, rude and everything in between, but at least you’ll know – just don’t do it on a day when you’re feeling sensitive! Once you have gathered some information from local people, you can assess whether or not you want to change the name. For many people that buy a restaurant, they have had the name of it in their minds for ages, much like a girl may picture her dream wedding dress. At least by having completed some research you will know if local people feel strongly about the name (and this works for both new owners of an existing restaurant or for restaurant owners that are considering changing its name) and you can use that to weigh up the value of the name against how much you want to change it. What is the Restaurant’s New Name? You can also use this ‘street research’ idea to gain feedback on your potential new name. In fact, you can go one step further and get your local paper involved as this is a great way to get local people (who will probably prove to be your best customers) feeling part of the business. After all, ‘engaging’ customers is the latest buzz word in business development. Perhaps run a competition in the newspaper to pick a name, or ask for people’s comments on your proposed name. Do try not to have a name which is so ‘of the moment’ that your restaurant will seem out of date within a few months. A classic name is best, although make sure it is easy to pronounce and doesn’t have any obvious embarrassment for customers – it has been proven that restaurants with difficult or silly names are less popular as people are not comfortable with arranging to meet friends there or say they have been, which is an important part of word-of-mouth advertising. How Much Does it Cost to Change a Name? Changing the name of your restaurant after you’ve owned it for a while is far more expensive that changing a restaurant that you’ve just bought. Remember that you will have to change all manner of menus, business cards, wine lists and other paperwork as well as ‘official’ documentation like your receipts. If you have branded vehicles, equipment or clothing these will all need to be changed too. Although it can cost a lot to get all this changed, if you use the name change to your advantage you can cut costs, or at least being in extra business. Ask local design students to come up with a new logo and get publicity for the restaurant, for example.